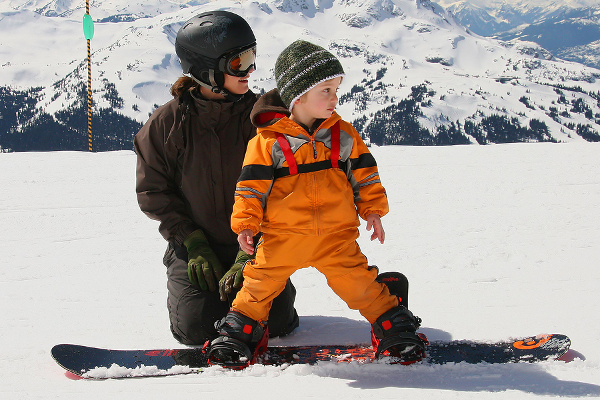 Children may pick up skiing a lot quicker than adult beginners, but many parents will still worry about keeping them out of danger. We talked to ski experts, enthusiasts and ski journalists to find out exactly what they had to say about keeping kids safe whilst not dampening their enthusiasm. 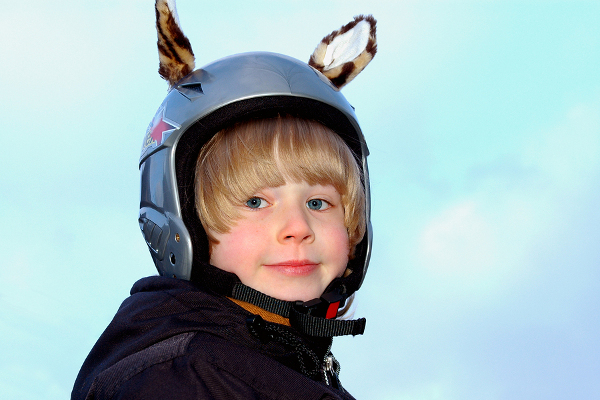 Nowadays, for most children wearing helmets is the norm, as almost all ski schools and resorts specify they need to wear one. For those that need a little convincing, there are many funky and lightweight designs out there, along with helmet covers such as Tailwags that can make helmet wearing fun. Just make sure it's a helmet specifically designed for wintersports - their skateboarding or cycling one just won't do. It's also worth pointing out that the most experienced skiers and boarders, along with the professionals, do tend to wear a helmet, and there is no one cooler than them! Nicknamed the Snowhunter, Ski journalist Patrick Thorne remembers a time when one of his sons was saved from a serious injury to his head when an airborne snowboarder hit him in the head with a board, and another son's helmet came into its own when he crashed head first into a metal snowmaking pump. "For most children wearing a helmet is the norm, but it's also important to explain what a helmet cannot do - it doesn't make them invincible"
We allowed them to have cell phones as soon as they were old enough to use them as most resorts have mobile coverage over the mountain, so if we got separated there was a better chance of being able to find each other quickly. Although I can't remember ever needing to use until they were older teens and skiing on their own anyway. A winter sports holiday needs special insurance - think of all the expense that goes into airlifting someone from the slopes or, even worse, repatriating them home. 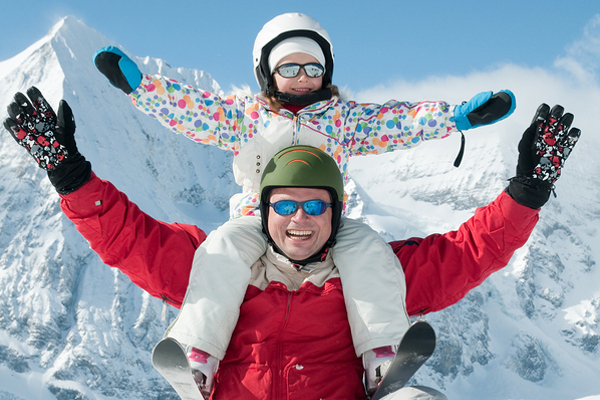 With the high incidence of injury - from sprained wrists to something much more severe - a winter sports insurance policy is a must. Adult brains don't need protecting? Remember When kids get older, they will often resort to the same behaviour as their parents. If you really want your children to be safe and consistently wear their safety helmet, you need to wear one too! It really isn't a hard habit to get used to. In fact, many adults tell me that after wearing their helmet for a few times in a row, they then feel naked without one. Likewise, skiing after a few lunchtime drinks is not a good example to set for the future, especially with teenagers who may want to do the same! "Dress children in layers, keep them fed & hydrated with regular stops"
Encourage children to dress in layers to keep warm, and Patrick Thorne suggests "it is important to keep them fed and hydrated with regular stops. Also, regularly check their fingers, toes, nose as they freeze up quicker on kids and they're more likely to carry on without noticing". Don't rub the skin, and if the area is wet, dry it. Do not let the frostbitten area refreeze before it thaws out completely. Even if it warms up and looks okay, it's worth checking them out with the resort doctor, especially if your child is still complaining about numbness or you can see blistering. Ask for feedback at the end of the lesson - can you practise something with your child to improve their moves and increase confidence?